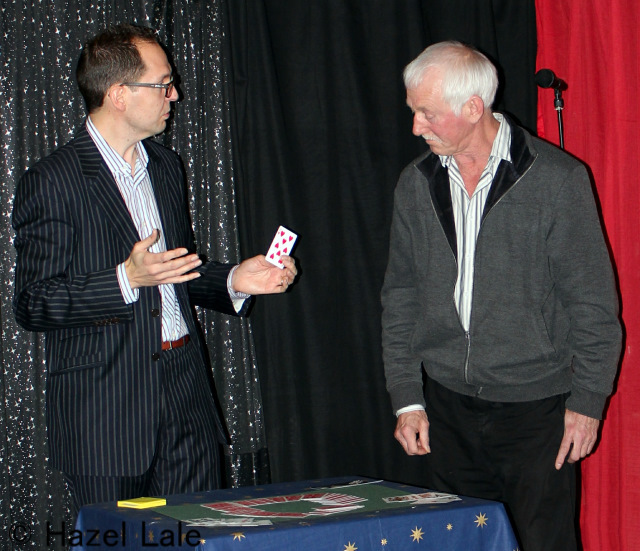 Steve Gore finds Pete’s card at the climax of an entertaining gambling routine at last night’s lecture. I’m sure that Sheffield Circle members and Loungers alike all came away with something they can use. Sales of his commercial products at lecture night discounts were brisk.